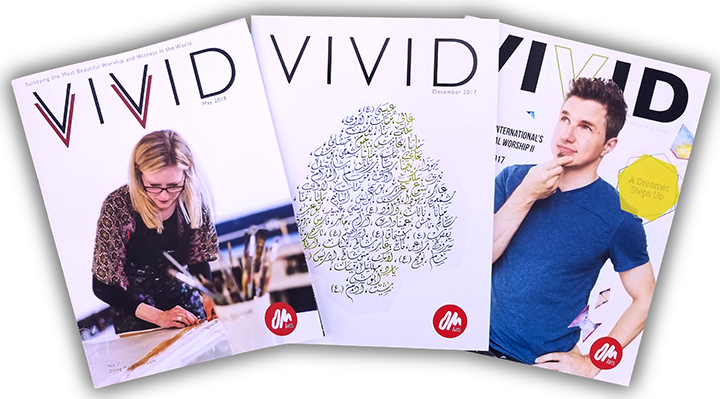 The twice annual VIVID Magazine is but one of many resources OM Arts uses to inspire, train and equip a global movement of artists living out God's beauty among the world's least reached. Give any amount and we'll thank you with the most recent VIVID magazine. Contribute monthly to multiply your impact and never miss an issue! When you get VIVID, the world receives artists preparing the way for Jesus.